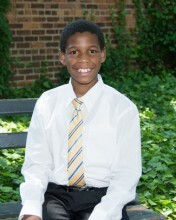 Meet Cornell, an engaging and charismatic youngster with a passion for superheroes and comic books! Batman, Superman and Spiderman are a few of his favorites. He also loves to play games on his Nintendo DS game system. Basketball is a favorite pastime for Cornell, as he has lots of energy! Creating things with paper helps Cornell to focus. He especially loves to make lots of different paper airplanes to see which creation flies the best! He has been described as funny, talkative, creative and imaginative. He is affectionate and eagerly seeks out one-on-one attention from adults. Cornell loves to be around animals and would be so excited to have a dog of his own! Cornell is still unsure about what he would like to be when he grows up, but he has big dreams; basketball player, doctor and scientist are just a few of the careers Cornell would consider. 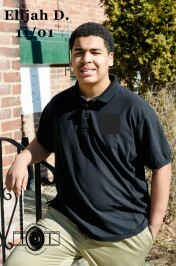 Family is important to Cornell, and he longs for a loving and supportive family he can call his own. Cornell has two siblings with whom he shares a strong bond, and it is recommended that contact be allowed to continue even after Cornell finds his forever home. Cornell would do well in a family where he is the only or youngest child. With patience, guidance and life-long support, Cornell can flourish!